Forty of the most famous and celebrated stories from the Brothers Grimm translated and edited by a leading professor of folklore. 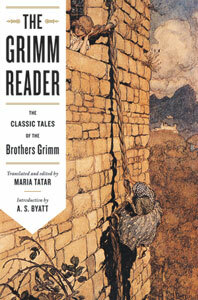 Even after two hundred years, the tales collected by the Brothers Grimm remain among our most powerful stories. Their scenes of unsparing savagery and jaw-dropping beauty remind us that fairy tales, in all their simplicity, have the power to change us. With some of the most famous stories in world literature, including “Cinderella,” “Little Red Riding Hood,” “Hansel and Gretel,” “Snow White,” as well as some less well known stories like “The Seven Ravens,” this definitive collection promises to entrance readers with the strange and wonderful world of the Brothers Grimm. Maria Tatar’s engaging preface provides readers with the historical and cultural context to understand what these stories meant and their contemporary resonance. Fans of all ages will be drawn to this elegant and accessible collection of stories that have cast their magical spell over children and adults alike for generations.